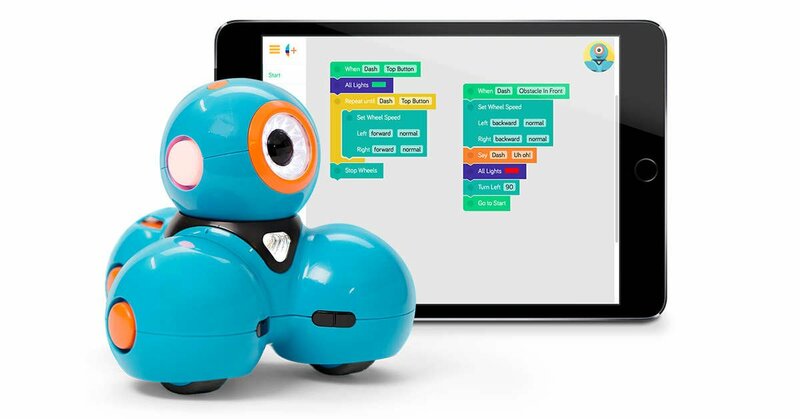 Kids can give Dash Robot voice commands and explore loops, events, conditions, and sequences. 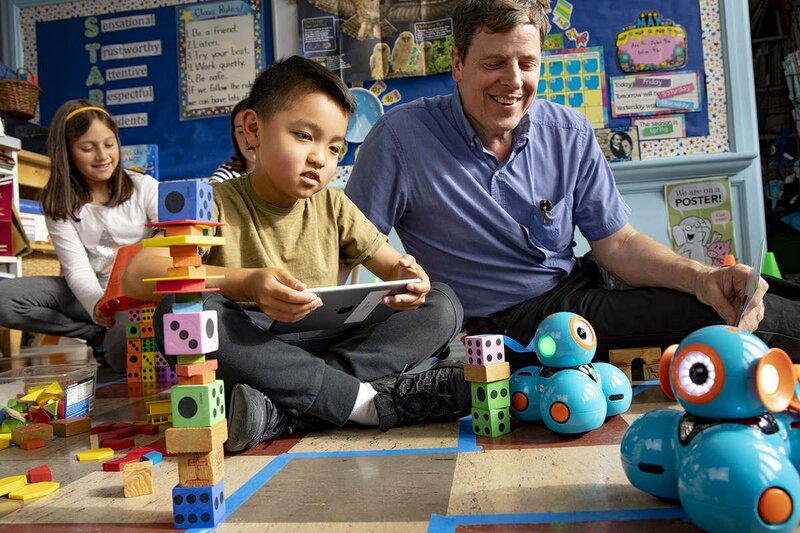 The free in-app challenges give your child hundreds of hours of STEM learning, while the fun accessories let you easily turn your robots into everything from a bulldozer to a catapult for engaging freeform play. Dash is ready to go right our of the box. Fully charged, Dash has 5-hours of active play and 30 hours of standby time. 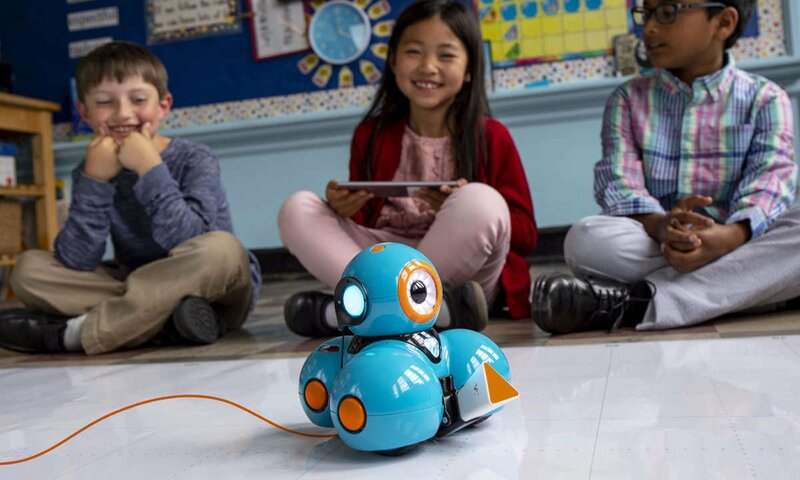 Dash charges in 1-hour so it's great for classrooms and home play alike. Dash is is proudly used in 20,000 schools world-wide and growing rapidly. Dash helps kids grow into confident creative architects. 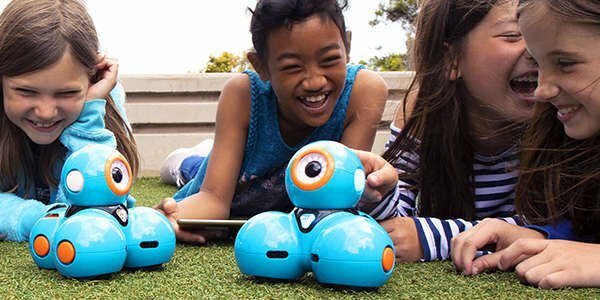 Wonder Workshop’s Annual Robotics Competition provides opportunities for kids to work together, helping everyone learn and evolve. The Robotics Competition is an encouraging and challenging community where kids can share ideas and build confidence. The grand prize is a $5K STEM Grant. Extend the possibilities even further with Sketch Kit. Simply attached Sketch Kit to Dash or Cue and let your creativity run wild. We’ve included activity cards and in app projects to teach your kid the block-based coding skills they will need for middle and high school while developing critical thinking skills.